Table tennis, is a sport in which two or four players hit a lightweight ball back and forth using table tennis rackets. The game takes place on a hard table divided by a net. 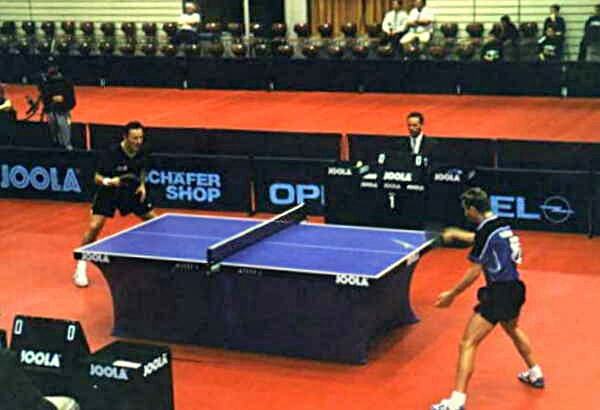 Except for the initial serve, players must allow a ball played toward them only one bounce on their side of the table and must return it so that it bounces on the opposite side. Points are scored when a player fails to return the ball within the rules. Play is fast and demands quick reactions.